Introduce the best Georgian wine to every family in Georgia, to every guest of Georgia and to the wine lovers throughout the world. Creating the best Georgian wine from only Georgian grape varieties and introducing it to the wine consumers all around the world, while respecting unique Georgian traditions and using the most advanced technologies and scientific knowledge existing in the wine industry. Creating the best Georgian wine only from Georgian grape varieties. Fermentation process runs in special oak casks equipped with the temperature control system. These casks were manufactured by leading Italian company «Della Toffola» especially for Badagoni. After oak casks the wine next fermentation and maceration run under the strict temperature control. Wine is matured in French oak barrels for 18 months. This wine is created in Alaverdi monastery wine cellar (built in 9th century) strictly following the ancient Georgian traditional Qvevri wine-making method. Grapes are plucked early morning, safely packed in special boxes and carried to the factory. Grapes are peeled manually and delivered into special storage facility for premium class wines. Fermentation process runs in specifically manufactured horizontal reservoirs with automatic temperature control system. Wine is matured in French oak barrels for 12-16 months. Grapes are plucked early morning, safely packed manually in special boxes and delivered to the winery. Grape processing method is fully reductive. Badagoni winery is equipped with the special types of vinificators allowing us to produce special sort of red wine with the distinguished bouquet. High-tech equipment existing in the winery allows controlling temperature steadily starting from the grape delivery till storing wine products. Temperature control is exclusively strict during the alcoholic fermentation, which allows maintaining the grape aromas in the wine. Grapes are plucked early morning. Technology prevents oxygen leak in utilization process to the limit. High-tech equipment existing in the winery allows controlling temperature steadily, starting from the grape delivery till storing wine products. Temperature control is exclusively strict during alcoholic fermentation process, which allows keeping grape aromas in the wine. Premium class sparkling wine is made with high quality sorts of grape. Grapes are peeled manually and delivered into special storage facility for premium class wines. This sparkling wine is created with “Charmat” methodology. Premium class sparkling wine is made with best sorts of Saperavi grape. Grapes are peeled manually and delivered into special storage facility for premium class wines. This sparkling wine is created with “Charmat” methodology. Badagoni was awarded with 3 Gold medals! Badagoni Red wines “Saperavi Reserve 2010”, “Alaverdi Tradition” and “Kakhetian Noble” were awarded with the Gold Medals at the one of the world’s prestigious wine competitions “MUNDUS Vini” in Germany. The above-mentioned competition is really huge - more than 10,000 different wines have participated in it this year. The jury was staffed by the worldwide famous professional enologists, sommeliers and wine experts. So, Badagoni continues amazing of international experts and Georgian wine popularisation around the world. We congratulate each and every supporter of Badagoni and Georgian wine! Badagoni is among the best 100 wines of the world! For the first time throughout Georgian wine history, in Australia, at one of the most prestigious Sydney International Wine Competition the honoured jury nominated Badagoni Dry Red “Alaverdi Tradition” among the top 100 wines of the world! In the competition participated the wines from the most prominent wine-making countries and the jury was staffed with wine experts from Australia, New Zealand, Switzerland, the USA, Canada, France and many more. Sydney International Wine Competition has annually been taking place for almost 40 years now. Badagoni victory is truly a huge achievement, as competition assessment criteria and process is quite difficult. Each wine had to go through the several assessment phases. Regardless the intense competition, Badagoni “Alaverdi Tradition” managed to receive the award of a winner. We congratulate each and every supporter of Badagoni and Georgian wine with this outstanding victory! At the biggest & most prestigious wine & spirits competition in China & Hong Kong – CWSA (China Wine & Spirits Awards) Badagoni have been awarded with the three Double Gold medals! This highest award have been given to the Badagoni Qveri & red premium quality wines “Alaverdi Tradition” and Badagoni Chacha. In the competition there were participating wine & spirits producer companies from 55 countries. The winners were selected based on blind test by the jury of 100 members, which represent the best sommeliers, wine and spirits experts and importers in China. Double Gold – this is the highest award and the great recognition, that opens the doors to the various markets more widely for Badagoni and for Georgian wine in general. Congratulations to all the Georgians with this achievement! Dr. Donato Lanati leads the worldwide famous international research center “Enosis Meraviglia” (Italy) and is also the honored consul of Republic of San Marino in Georgia. 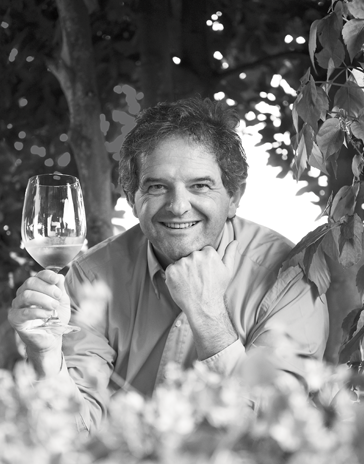 Donato Lanati’s success story as an enologist and scientist is based on his unique approach to researches and on his innovative and extraordinary decisions. Analyzing grape using the modern scientific methods, testing the advanced technologies, constant stride for perfection and a huge passion for wine - these are those main reasons that brought Dr. Lanati first in winemaking and later in Georgia. Constant researches and experiments that he implements at the “Enosis”, are dedicated to the only goal: raise the quality of wine through application of the advanced scientific methods. Gaining knowledge and sharing it with others was always playing a significant role in Donato Lanati’s life. After graduating from the department of agricultural sciences at the University of Turin he became a member of that very same faculty, where he was teaching graduate and post-graduate students for more than 17 years.